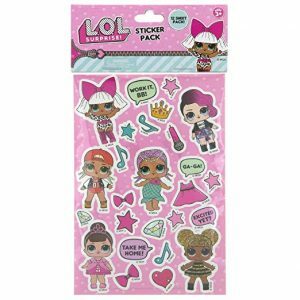 On Amazon right now you can get these fun L.O.L SURPRISE Dolls In Sticker Form for just $11.67 – a 32% savings! These would make great stocking stuffers or party favors. You can also get the new L.O.L. Surprise Under Wraps Doll- Series Eye Spy 1A for just $11.88 – a 21% savings! Both items will ship free with Amazon Prime or qualify for free Super Saver Shipping with a $25 purchase.